Join the Fight for the Food Trucks! About two weekends ago, post Vendy Awards I had the pleasure of attending the New York Food Truck Association Food Truck Rally in Grand Army Plaza, Prospect Park in Brooklyn. 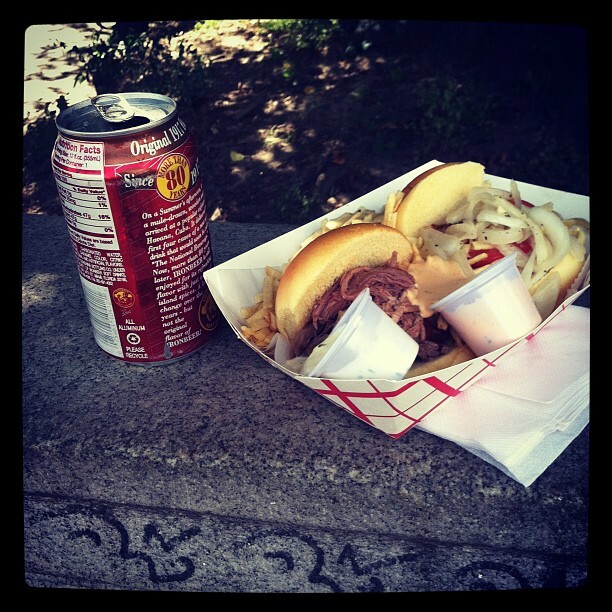 It was beautiful day, the sun was shining & the smell of delicious food filled the park! This time the rally had about 17 food trucks all in one place. Can you say foodie heaven? Unfortunately I was still digesting & recovering from the Vendy Awards so I couldn’t go as hard as I would have otherwise. But that doesn’t mean that I didn’t try some awesome street food and meet some awesome bloggers. 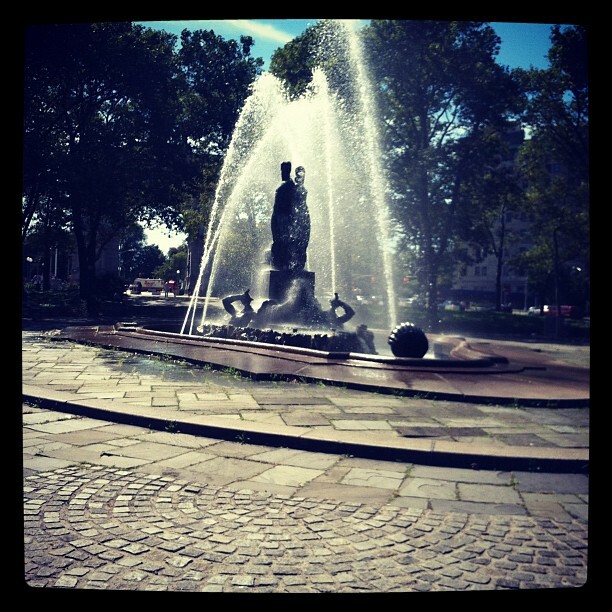 I also got to find out the story behind the NYCFTA along the way. I was hungry on my way to the rally so I know I needed to eat right away and that I did. My first stop was Bongo Brothers. I got the Ropa Vieja & Chicken Sliders with a Cuban root beer. It was delicious!!! Since it was beautiful out I walked around the park for a bit until I met up with Laci, the community manager of NYCFTA, Ariam (a journalist & Intern Queen ambassador), Alex of Alex Eats Green, and Steve from Street Grub Steve Everyday. Alex is a vegetarian & shares her vegetarian food journeys. Steve is a street grub guru & has tried food trucks all over the country! It was great to meet with other bloggers again and see our similarities. We are all passionate about food and huge supporters of food trucks. It was great to learn what the association does for the trucks and how they are trying to help them and the community work together. Alex, Steve, Laci, & I at the rally. Now if you know me, I had to try a few of the trucks that I have not tried yet before I leave. I had seen Kelvin Slush at the Vendy’s but knew I had to have a whole authentic slush. It was a great idea indeed. 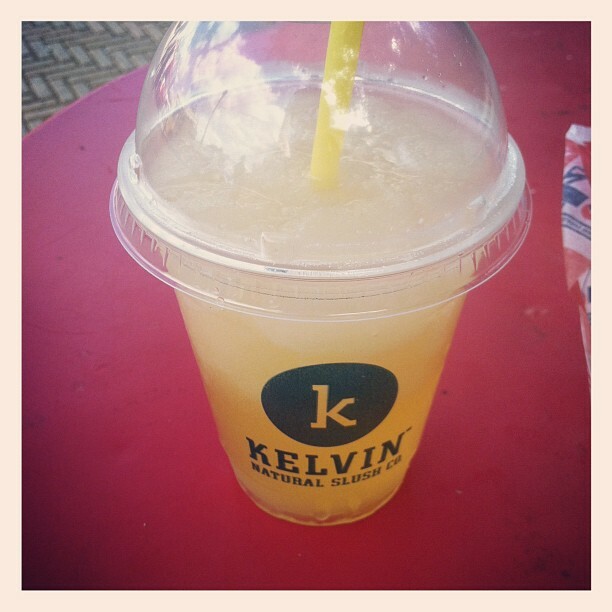 Kelvin is not just any slush, they are natural and healthy. You have a choice of slush mix, usually 2. I chose citrus & then they have a variety of fruit purees you can choose from, I chose lychee. One sip and I was knocked off my feet. If you see their truck around town, I’d highly recommend it. Their is nothing is like it! I ended my weekend food truck with Red Hook Lobster and they were selling out quick! 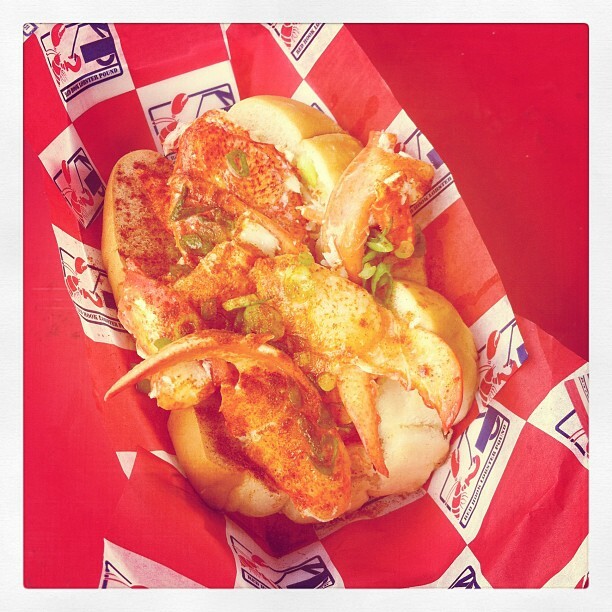 I had one of the lobster rolls and it was truly delicious. I can see why everyone loves it so much. I can’t even put into words how great it was, I’m pretty sure the picture below says enough. I really enjoyed the rally and seeing all the food trucks together in one place and in their element. I feel that food trucks are such an important part to the city. I love the hospitality of the owners of the trucks. You can find out about future rallies on their website: NYCFTA. 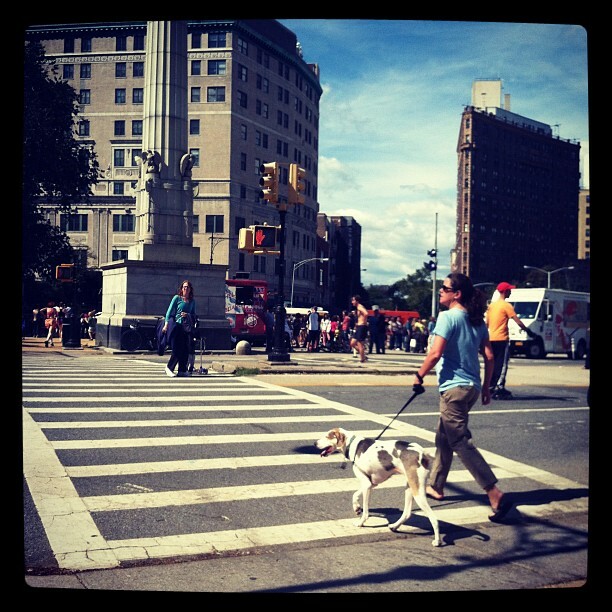 This entry was posted in deals, food, New York City, nyc, NYCFTA, Small Chick Big Deals and tagged nycfta, rally, scbd by smallchickbigdeals. Bookmark the permalink.